Wow! That’s my one word sum up for this event. Pete Tong is synonymous with Ibiza and dance music. With at least 2 decades of influencing the music scene, there’s a damn good reason why he is seen as a icon and now an ambassador for global music. 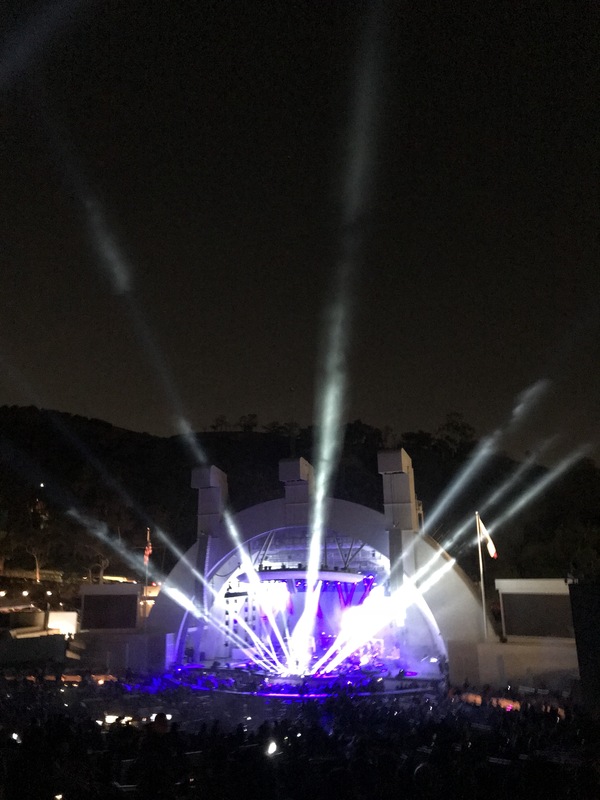 So add to that amazing talent an orchestra and the Hollywood Bowl and you have one amazing experience. 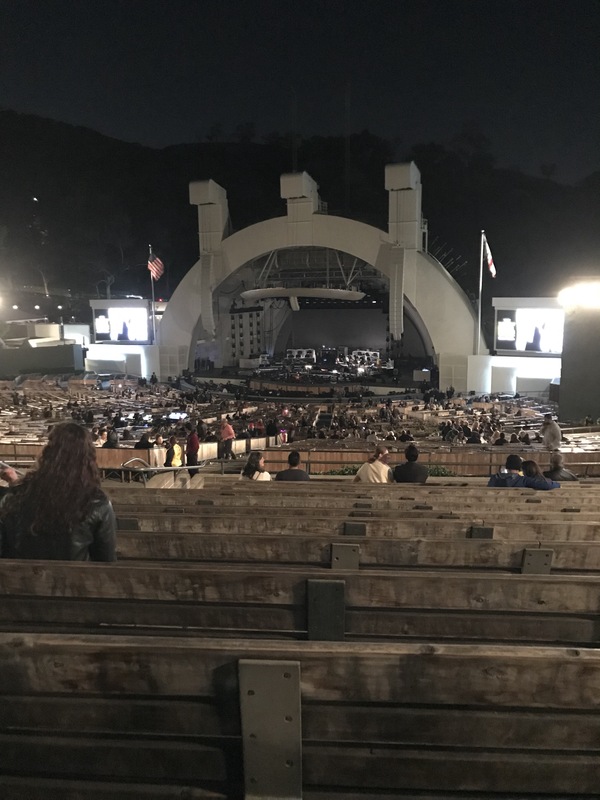 The Hollywood Bowl is a gorgeous setting. I need to get to some events over summer so I’m there during sunset time, but it was still pretty awesome. From the looks of it, even the cheapest seats would have a good view, but next time I want to get one of the boxes. They seem to come with a table which made me jealous when I was trying to hold everything on my bench seat. There’s food on site, all the usual suspects but you can also bring in a picnic if you are clever enough to think in advance, which I am not. I’m not sure if it’s the same normally but as this was a leased event you couldn’t bring in booze. It was, however, reasonably priced so that wasn’t a big deal. 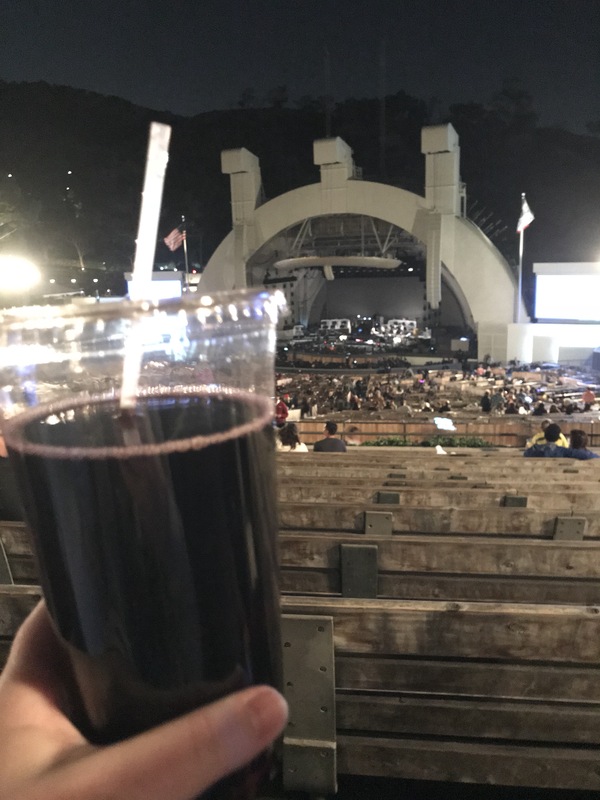 Glass is’t allowed in the amphitheater though so when you purchase they will decant to cups. Which is how I ended up with this amazing sippy cup of wine with a straw. A definite win for class and sophistication. Top tip: pay the $1 for a cushion, your bum will thank you for it. The show opened with the Guy Gerber Experience which was cool. I caught a bit of this at Coachella a few years ago so it was good to see some more. I’ve got a couple of videos of the night but it doesn’t seem that I can work out how to stop talking when filming, so be prepared for a little commentary. That brings us then to Pete Tong with the Heritage Orchestra. As I said before, WOW. 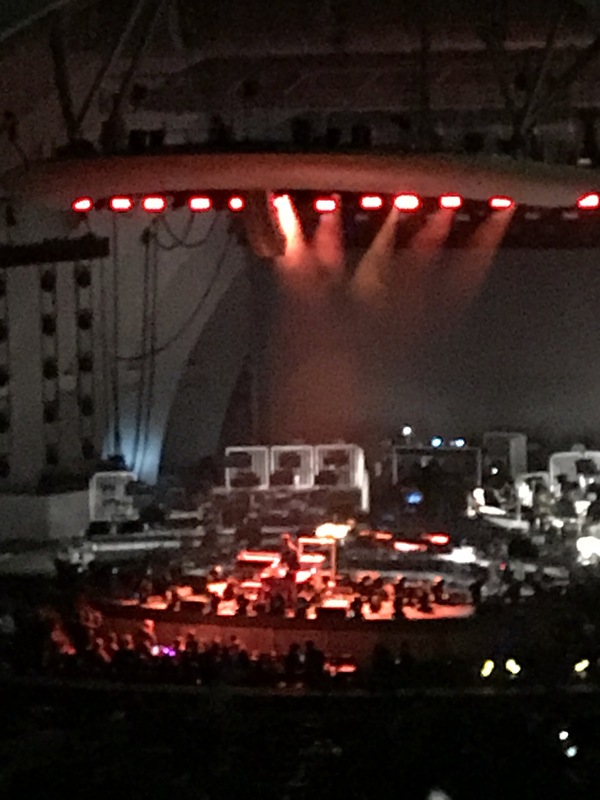 Having the live orchestra just lifts the music so much. You hear so much more in it, I can’t really describe it. I have an obsession with the violin after having to play it in school for a year and hating it. So now I really get into it when it is being played well. I also love the brass section and they were well represented. They had one guy on drums and the rest of the percussion came from Pete Tong, so that’s how they all fit in together. I love how events like this remove the elitism from orchestral music and modernise something that has always come across as a little stuffy. Al and I were talking about it and he pointed out how EDM used to always have notes of classical through it, which is true, and makes sense why it goes so well. 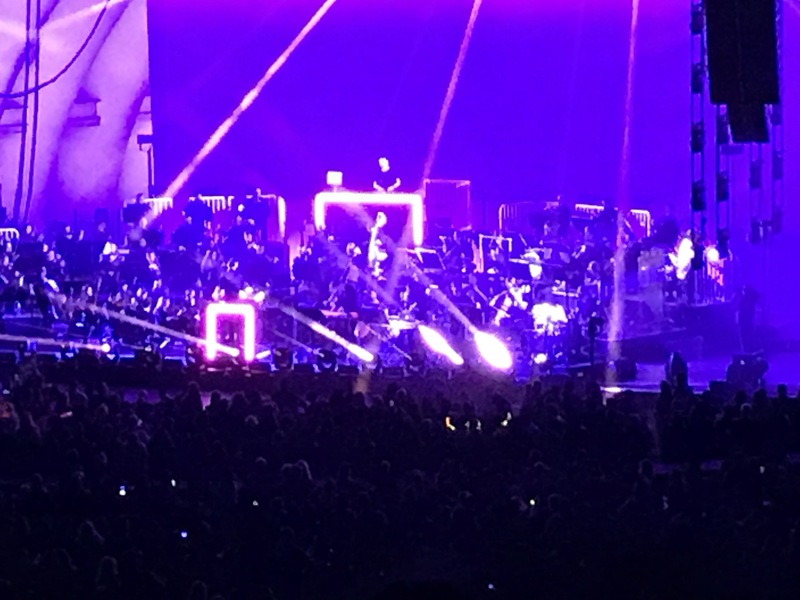 I loved when they started using orchestras to live score a film, I thought that made it more orchestras more relate-able for people but this Ibiza Classics tour is pushing that connection to the everyday person to the next level. The conductor for this event is Jules Buckley. Now I am not someone who knows conductors and I think the only way I can tell if they are any good or not is by the sound of the music, but this guy was cool. There’s something so amazing about pumping music being directed by such a calm approach. If you can get tickets to this tour, 100% do it. It’s hitting the UK in December and hopefully they will do more collaborations in the future. This tour will have you on your feet, flashing back to clubbing days and hearing music you know in a different way. Brilliant. 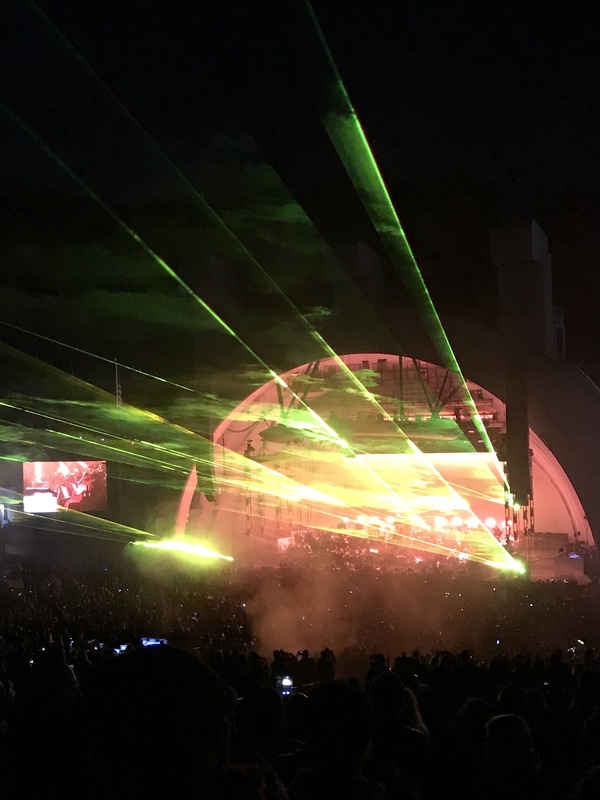 Awesome night – recommend to anyone! Although think you have downplayed how long Pete Tong has been around… think its i closer to 4 decades than 2!